Low-cost airlines are the in thing in the airline industry. These carriers have become popular due to their low fares, in-flight service and amenities, and simple award programs. But some frequent flyers still wonder how easy it is to get an award flight on these low-cost carriers. AirTran, JetBlue, and Southwest are three low-cost airlines that promise free flights to frequent flyers. However, points in all three programs expire after 12 months. That’s no problem for business travelers or other folks with the means to travel several times a year, but the average flyer may not take to the skies every other month. A closer look at these airlines’ loyalty programs reveals that free flights are available to all, but infrequent flyers may need to employ a few tricks of the trade to get them. First and foremost, travelers earn points from flying. 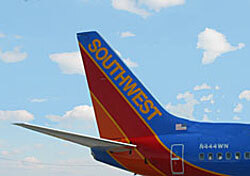 AirTran and Southwest give out one point per one-way flight. JetBlue offers two points for short flights (e.g., New York City to Buffalo), four points for medium-length flights (e.g., New York City to New Orleans), and six points for long flights (e.g., New York City to Oakland). To redeem a round-trip domestic flight, travelers need to accumulate 16 AirTran credits (by flying coach), 16 Southwest credits, or 100 JetBlue credits. Even factoring in online booking bonuses (double miles on JetBlue, an extra credit per round-trip on Southwest), a free flight seems out of reach for many travelers. Five long-haul flights on JetBlue will net an award seat, but many people don’t fly coast to coast five times in one year. While five flights of any length is a more reasonable expectation, that’s not enough to earn a free flight; seven medium flights or 13 short flights would be required. Southwest and AirTran weigh all flight lengths equally, but six Southwest round-trips and eight AirTran round-trips in one year might be pushing it for many leisure flyers. 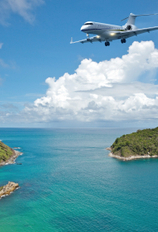 AirTran has a few alternatives that might make snagging an award easier for some. Business-class flights earn three credits per round-trip, so a coach award could be had with only six round-trips. In addition, AirTran offers one-way business class upgrades for four credits and one-way coach tickets for eight, so travelers can get freebies with as few as two or four round-trips. But a free round-trip flight may still be elusive. Infrequent flyers can turn to airline partners for help in their quest for a free flight. Of these three airlines, Southwest has the most robust partner list. Adding a car rental and a hotel stay to a Southwest trip can gain one more credit, making an award flight available after only four trips. Plus, Southwest Rapid Rewards members who sign up with Nextel or Earthlink for the first time can earn five or eight credits for enrolling. That’s one-third to one-half of the way to an award. AirTran partners only with Hertz, and JetBlue has no partners, so these extra miles aren’t available to their loyal flyers. However, all three airlines have credit card partners, and points from shopping can quickly add up. An average credit card bill of $1,000 per month nets 12 AirTran credits, 48 JetBlue points, or nine or 10 Southwest credits per year. In this scenario, credit card points can make up half (JetBlue) to three-quarters (AirTran) of the points needed for a free flight. The remaining credits can be added with a few flights booked online. And while not everyone flies six times a year or books hotel stays or car rentals on every trip, almost everyone in the country uses a credit card several times a month. 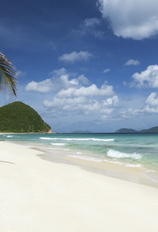 These partner offers can mean the difference between wasted points and a free flight. An award certificate is only valuable if it can be traded for an actual seat. The legacy carriers are notorious for award capacity controls that make using miles very difficult. What about the low-cost carriers? Southwest has the best policy. Except for a few holiday blackout dates, any available seat may be purchased with an award certificate. The airline lists the blackout dates prominently on its website, so travelers can easily find appropriate dates and book a free flight. JetBlue, however, does have capacity controls, and AirTran has both capacity controls and blackout dates. While no information is available about what percentage of travelers get their first-choice award dates on the first try, logic dictates that free flights should be easier to come by. Because the programs are newer, with limited ways of accruing points that in any event will expire after a year, there can’t possibly be as many outstanding credits in these programs as in the legacy carriers. Therefore, competition for award seats will be less fierce. However, AirTran offers one type of award that the other two airlines do not: free flights on other airlines. For 32 to 100 credits, AirTran will book a ticket for you on another airline. In this way, flyers have the option of free seats to destinations that AirTran does not serve. Plus, because AirTran is purchasing the ticket, a seat will be available as long as the desired flight is not sold out. Given the number of flights needed to earn an award, the alternate ways to earning credits, and the availability of award seats, Southwest is the best airline of the three for infrequent flyers. The combination of the online booking bonus, multiple partners, and no capacity controls makes it easier to accumulate and use the 16 credits necessary to earn a free flight. Free flights on AirTran and JetBlue are possible, but somewhat harder to come by. AirTran loyalists can have a slightly easier time by acquiring the A-Plus Rewards Visa card or shelling out for business class seats. JetBlue flyers, however, will either have to fly several long-haul flights or make many purchases with an American Express card to have any hope of a free flight. So, the answer is yes, it is possible to accrue enough points for an award in one year, and even to redeem that award for a free flight. But infrequent flyers will have to employ partners and online booking to make those freebies a reality. Otherwise, they’ll have to use the money they’ve saved with cheap ticket prices to buy that extra plane ticket.